As Obamacare enters its third year, there are still some big gaps in understanding. While many people are aware that they have to buy coverage or pay a penalty, many don’t know where to get that coverage or that there are subsidies (which in some cases are very large) available to help them pay for it. We think we can help with our guide to the who, what, where, when, why and how of getting covered by Obamacare. Obamacare really only affects you if you’re currently (1) uninsured or (2) paying for your own coverage (and not through an employer). 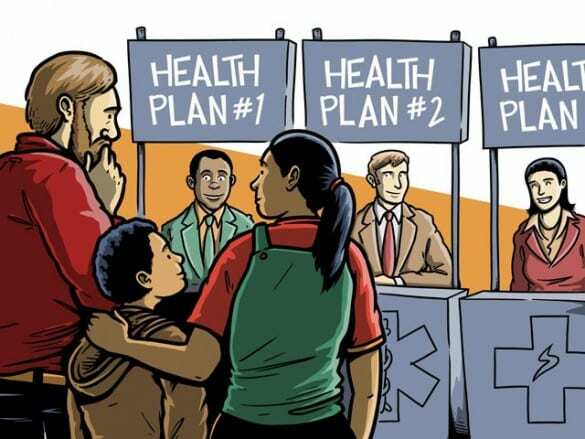 As for the rest of you, here’s how Obamacare works. Healthcare.gov is the starting point for everything. Go there, enter your state, and it will take you to an online marketplace (aka “exchange”) where you can shop for coverage. If you need help, there’s phone support and specially trained “navigators”– members of social service or advocacy groups (think churches, business groups, farm groups, community health centers, etc.) available to help guide you through the process. Go here to find one near you. You can also go to a regular health insurance agent for information. November 1 – January 31. This is the “open enrollment period,” meaning anyone can buy insurance then (although your coverage won’t start until January 1). becoming a citizen or legal permanent resident. In most cases you have 60 days after the event to get new coverage. What this also means is that you can’t wait until you get sick to get coverage, because again, unless you have one of those major life events listed above, once February 1 rolls around you’ll be out of luck until next November. The one exception is if you qualify for Medicaid, you can apply for that year round. What kind of coverage can you get? There are two types of coverage available under Obamacare: private insurance if your income is above the federal poverty line ($11,770) and Medicaid if your income is below 138% of the poverty line ($16,242). If your income is between 100% and 138% of the poverty line you’re eligible for either. By the way, those figures are for single, childless adults living in the lower 48 states– if you’re married or have kids (or live in Alaska or Hawaii) the poverty levels are higher. Private insurance is broken into different levels– bronze, silver, gold, and platinum— based on their “actuarial value,” which, if you’re not an insurance company, will mean nothing to you. Really it’s just a way to tell how good the plans are. All you need to know is that bronze plans will be cheapest, but have higher deductibles and copays, while higher ranked plans will be more expensive, but have lower (or no) out-of-pocket costs. If you’re under 30, you can also get catastrophic coverage that’s even cheaper coverage than bronze, but also comes with higher deductibles. If you qualify for subsidies (more on those below) those won’t apply to catastrophic coverage, but you get up to three primary care visits for free each year. If your income is higher than $11,770, what you pay for insurance will be on a sliding scale based on how much you make, thanks to federal subsidies. Once you enter your income on the site, the subsidy will automatically be included in the price of every insurance plan you see– there’s no separate application and you don’t have to pay full price and then wait from a check from the government or anything like that. As income increases though, the subsidies get smaller. If Anna was making $21,000, that silver level plan would cost $96/month, and a bronze plan would cost about $50. If she was making $30,000 it would be about $200/month for the silver coverage and $164/month for bronze. Besides the obvious reason of being able to get care without going broke, there’s also that penalty for not having coverage. The penalty has been phased in over the past few years, but in 2016 it’s in full effect: $695 per person or 2.5% of your household’s income, whichever is greater. 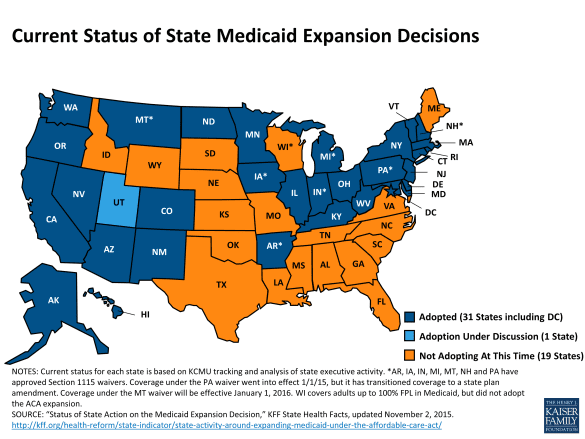 Penalties for kids are half the amount for adults, and if affordable coverage isn’t available (say you make less than $11,770 per year and live in a state that doesn’t expand Medicaid, for instance) you’re exempt from paying it. Ok, those are the basics of getting coverage under Obamacare. Have any Obamacare questions? Let us know in the comments and we’ll do our best to answer!